From the moment the gorgeously designed invitation landed at Fluffy Towers, you could tell the A|wear 2012 fashion show was going to be a fabulous event. Taking place recently at Smock Alley Theatre in Dublin, it was a real credit to the organisers: the production and running of the event were second to none. And the clothes? There’s bound to be something for everyone, with a host of trends catered for from the 20’s to the 40’s, equestrian chic and gothic glamour. Peplums, layering and tweed featured prominently, as did A|wear’s first range of exclusive own-brand prints. They looked amazing on the catwalk - modeled by some of my favourite Irish models including Yomiko and Thalia - but would look equally amazing on us regular folks. The collection is available now in shops and on Awear.com – and yes, worldwide delivery is offered! Are you a fan of this Irish highstreet favourite? Is anything catching your eye? Loving the metallic peplum top. I've not bought into this brand before, but that might change!! Hope you had a fab evening Em, it looks like a really stylish and glam event. I love A Wear - I don't know if they've any stores in the North anymore but when I lived in the South I used to always shop there! How fun and I love the gray sequined skirt! Looks great- could you buy tickets for this or was it an invite-only thing Emma? That's cool- it looks like such a great event! 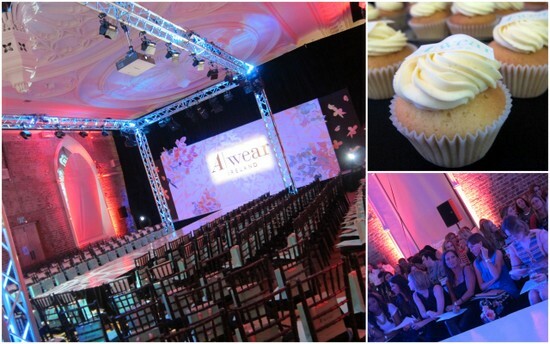 Looked like a great event, of course I love a|wear, I am a little biased though!